Buffero is a very simple way to send Tweets in eight our intervals. 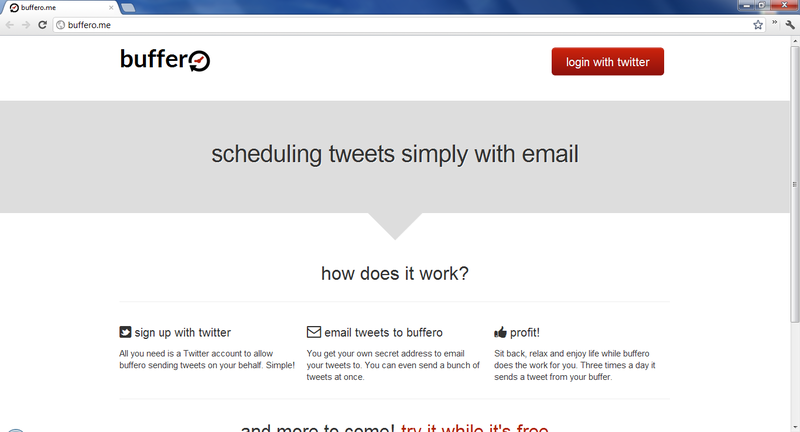 You can send one or many at a time and Buffero will Tweet one of your emails of Tweets out at the preset intervals. It's a simple useful tool with more options coming soon. © 2014 Dain Binder. Powered by Blogger.